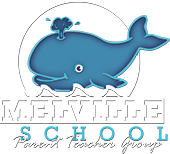 Thank you for supporting the Melville Parent Teacher Group. Through your donation, our school, a registered 501(c)(3) non-profit organization, nets 100% of the proceeds pledged to positively impact the educational experiences of Melville Elementary School students. To process your donation you can select one of two methods. You may donate now via PayPal completing your transaction on the secure PayPal web site or you can download and complete a mail-in donation form. Send the completed donation form and check made payable to MPTG in with your child or mail it to Melville Elementary School, Attn: MPTG Donation Coordinator, 1351 West Main Rd., Portsmouth, RI 02871. All donors will be sent a receipt for your tax deductible donation. Your generosity is truly appreciated. Double your donation! As a registered 501(c)(3) non-profit organization, the Melville Parent Teacher Group (MPTG) is eligible for many employers' corporate matching gifts programs. Simply print a copy of your donation receipt via Pay Pal and obtain a matching gift form from your human resources department. Complete the form and return it with a copy of your PayPal receipt or completed mail-in donation form and check made payable to MPTG to Melville Elementary School, Attn: MPTG Donation Coordinator, 1351 West Main Rd, Portsmouth, RI 02871. Thank you for supporting Melville Elementary School Programs and Students!